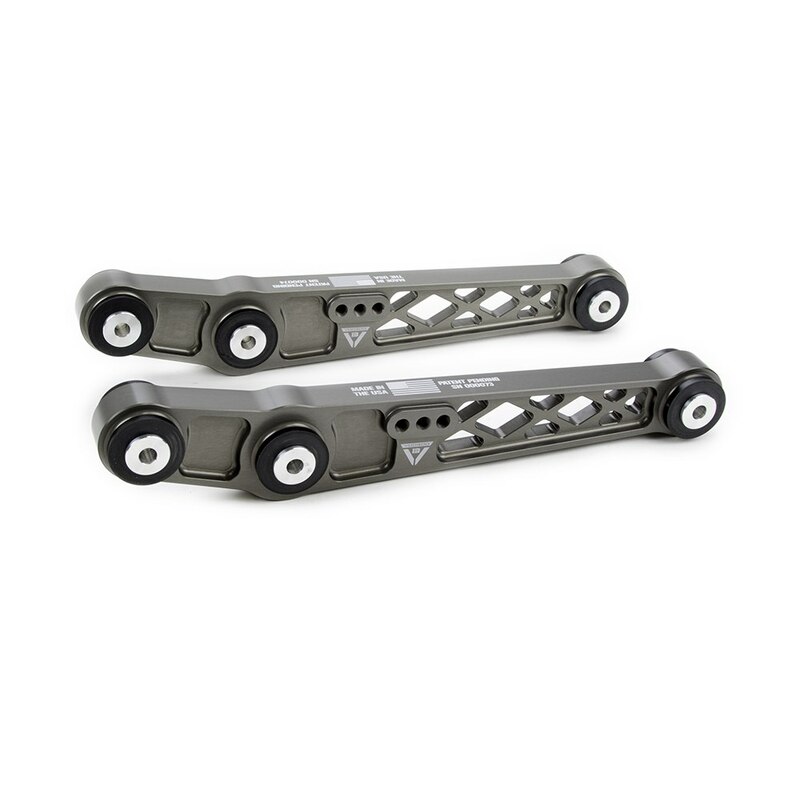 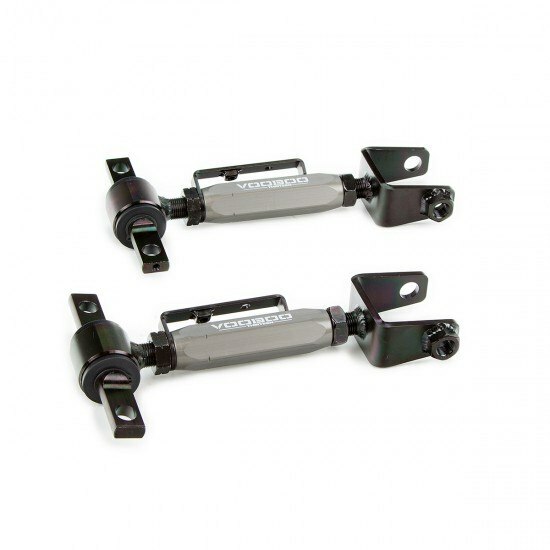 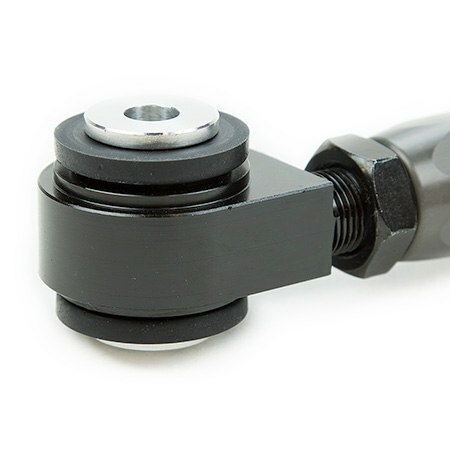 Voodoo 13 90-01 Integra/88-00 Civic/CRX/Del Sol Rear Camber Arms are precision CNC machined from high strength 6061 T6 aluminum and coated in MIL-A-8625 Type III Hard Anodize. 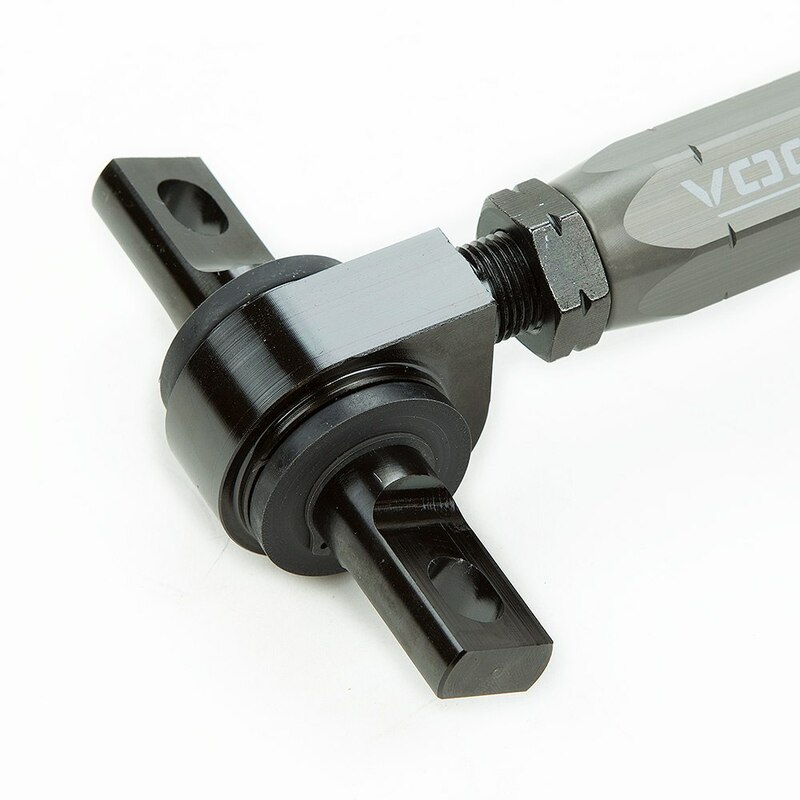 Hardened 4140 chromoly steel rod ends are black zinc coated for protection against the elements and Grade 8 hardware is used to ensure they will withstand abuse from high performance street cars and track only cars. 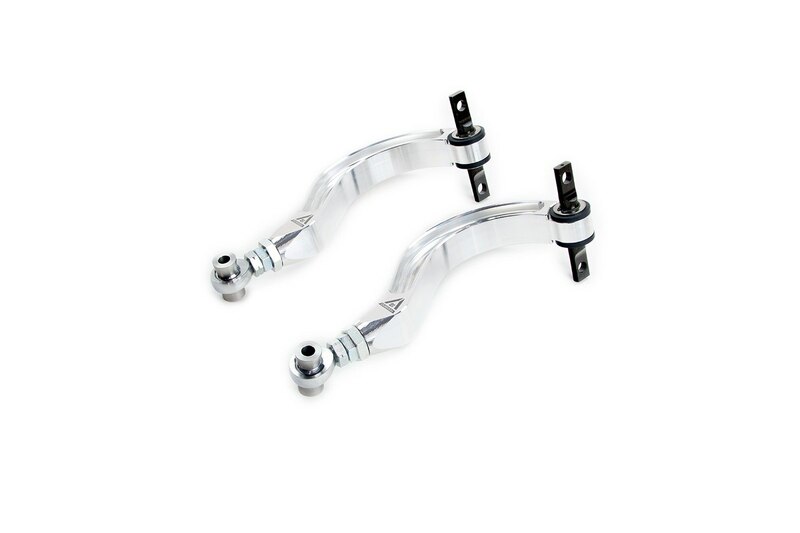 These camber arms offer a considerable weight savings over OEM parts, while increasing strength and rigidity. 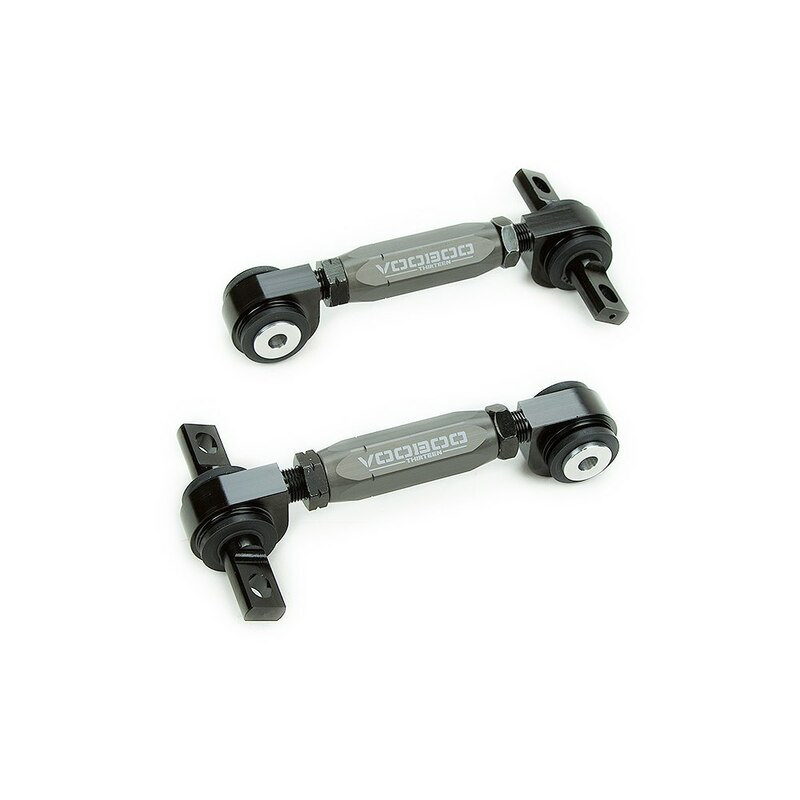 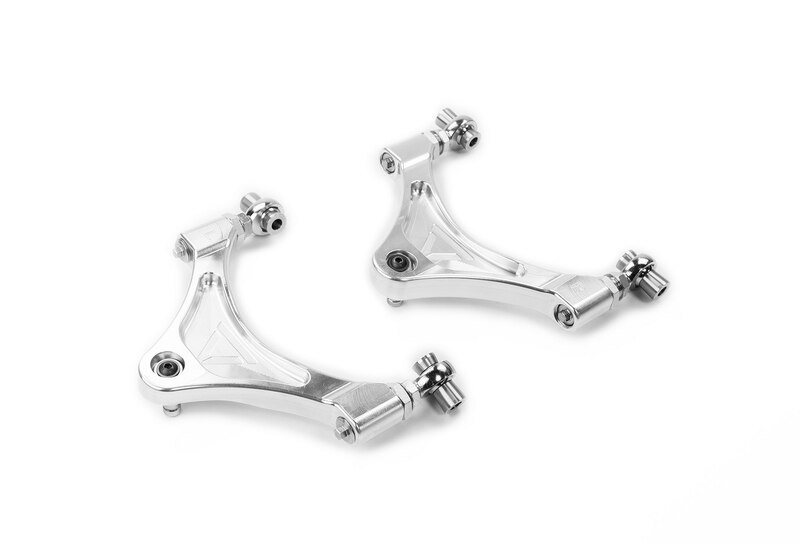 Voodoo 13 1990-2001 Acura Integra Rear Camber Arm are precision CNC machined from high strength aluminum . 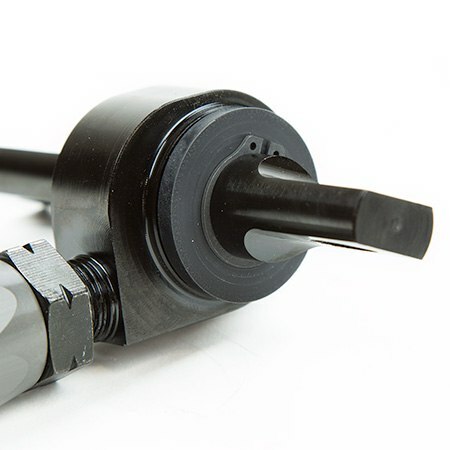 Hardened 4140 chromoly steel body rod ends are black zinc coated for protection against the elements. Special engineered Energy Suspension polyurethane bushings allow optimal deflection rates and increased longevity over OE bushings. Our aluminum flange bushing design allows maximum surface contact between the bushing and vehicle mounting locations while not allowing the bushing to prematurely wear.